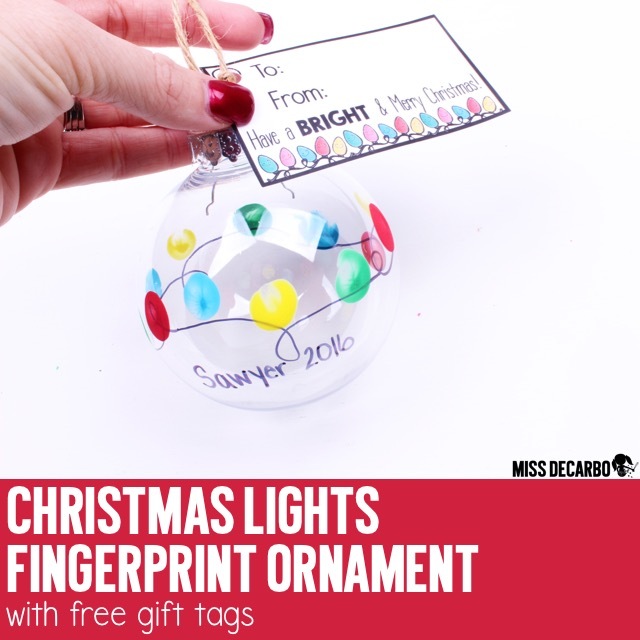 Today I am going to share a Christmas Lights Fingerprint Ornament with you. 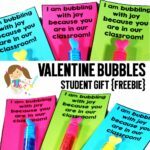 It’s a really cute, simple, quick, and EASY gift idea for your students this Christmas season! 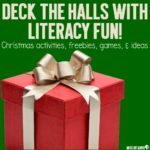 The weeks leading up to Christmas are stressful for teachers. 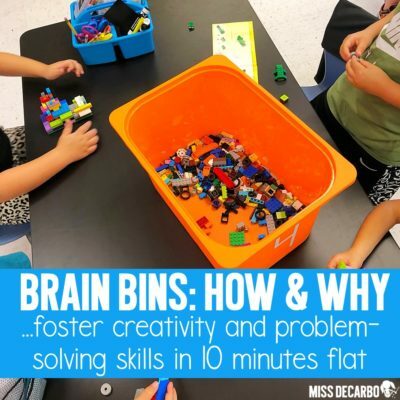 On top of everything, many teachers like to squeeze in a project for students to create for their families as a gift. 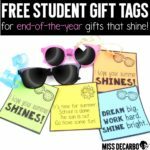 Since we know parents absolutely treasure these keepsake gifts, finding something adorable, easy, and cheap can be tricky. I made this Christmas Lights Fingerprint Ornament with my 8 month old last week. 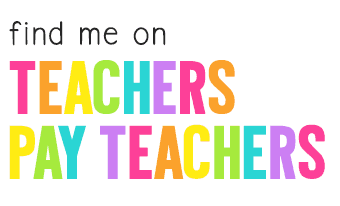 It turned out so cute that I knew I had to share it with my teacher friends! Throughout this post, you’ll find a few Amazon affiliate links, which means Amazon throws a few cents my way if you happen to purchase something from those links – at no extra cost to you. 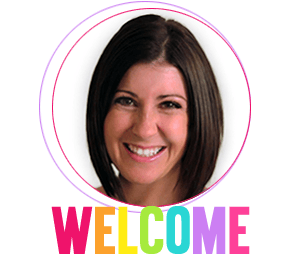 These little links help me keep my tiny corner of the internet up and running, so that I can continue to share lessons, teaching ideas, and resources with you! Let’s get started. You’ll want to gather a few simple supplies before you get started. I used the Crayola Fingerpaint for our Christmas ornaments. I loved that it was washable. 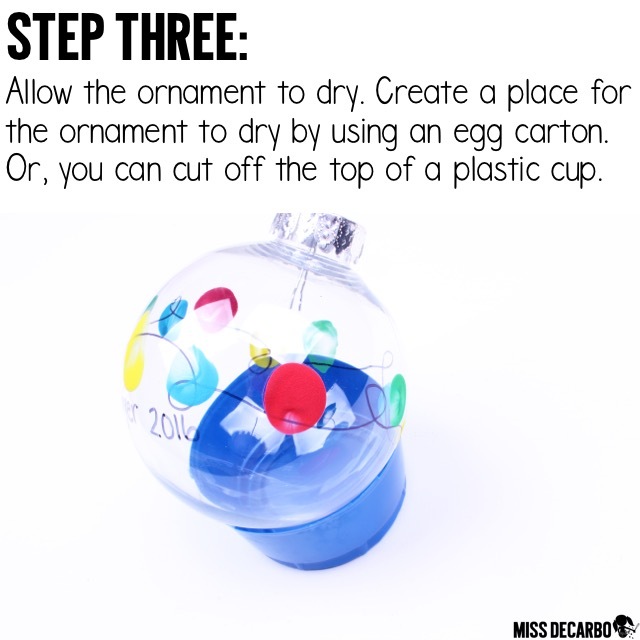 It was also easy to wipe the paint off the plastic ornament with a wet rag if we made a mistake. 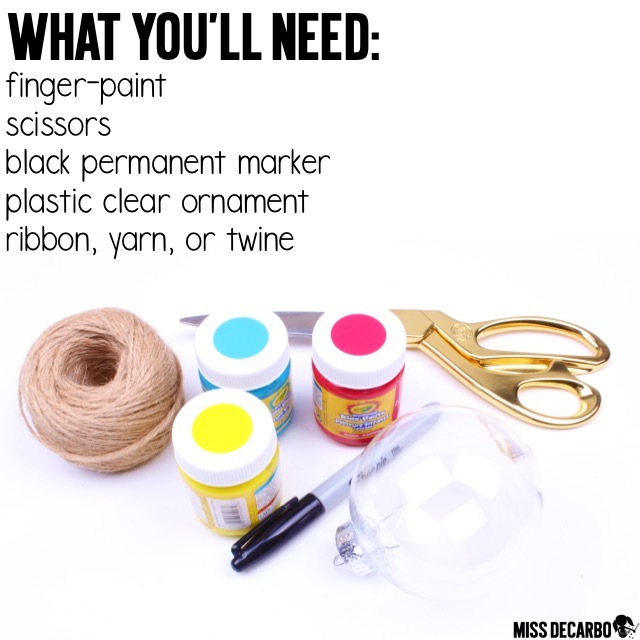 You will also find that you only need a TINY amount of paint, so a little will go a long way! I found my clear plastic ornaments at Michael’s Craft Store for $4.99 for a pack of 6 during Black Friday weekend. If you have trouble finding the ornaments in a craft store, I’ve listed plastic ornaments below on Amazon that have a similar price and appearance. 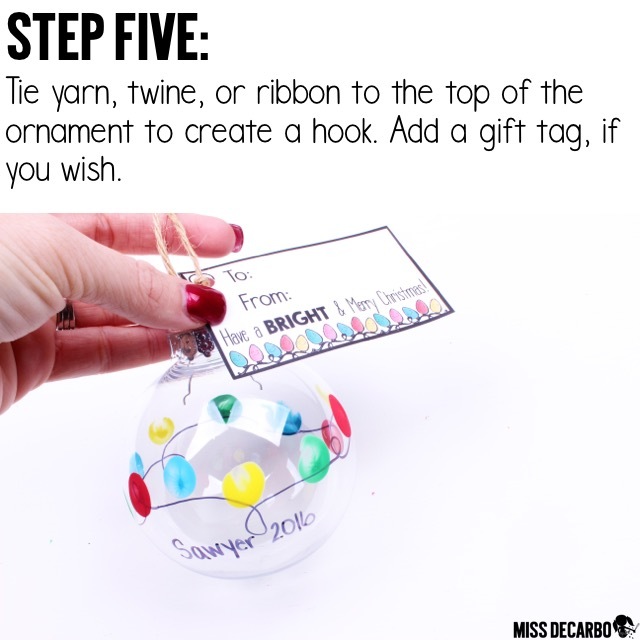 Once you have all of your supplies, it’s time to get started creating your Christmas lights fingerprint ornament! Tip: Don’t worry about making the wire look perfect! 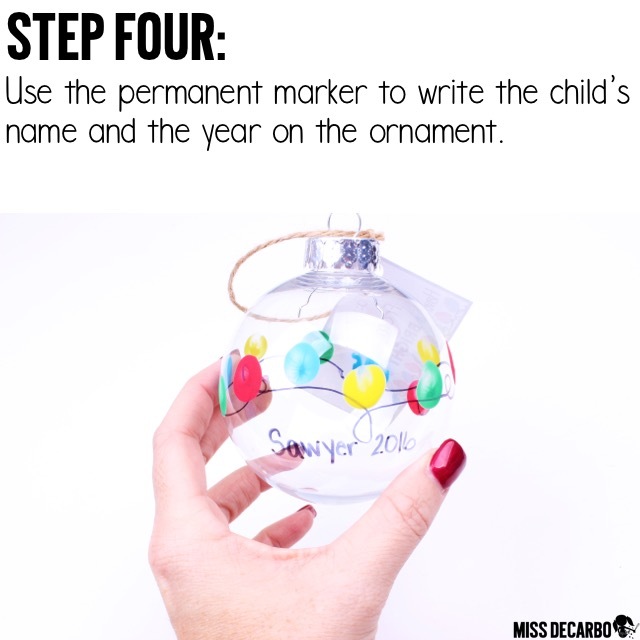 Let your students will have fun drawing squiggly lines around the ornament. 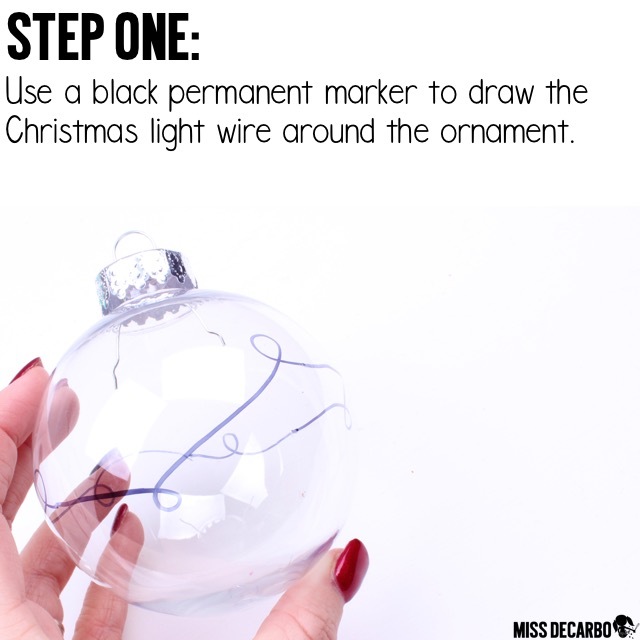 I connected my wire by drawing it completely around the ornament. Tip: Make this step easier by having students put ALL of their red fingerprints onto the wire, then ALL of their blue fingerprints onto the wire, and so on. You can use whatever colors you would like. I stuck to the basics and used red, yellow, blue, and green. Students can help each other by working in partners for this step. 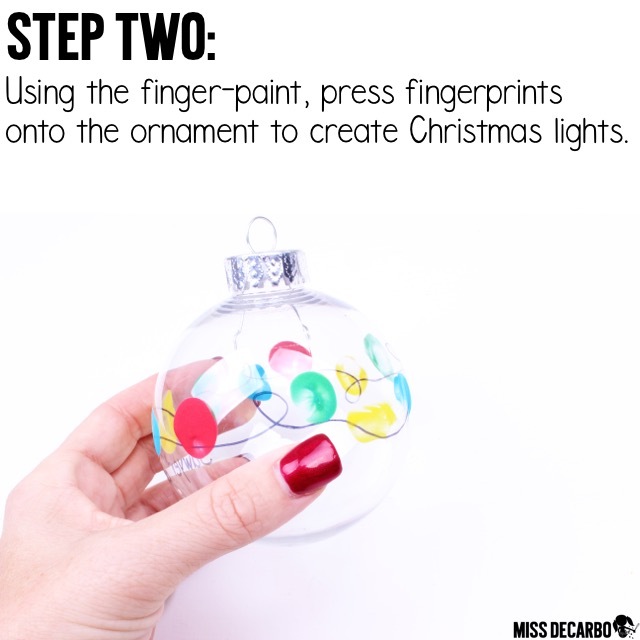 One student will hold the ornament and rotate it as the other student presses their fingerprints on to create the Christmas light bulbs. 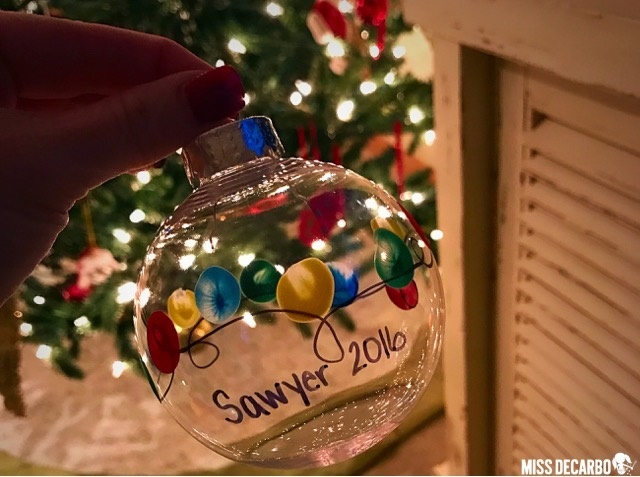 I wrote Sawyer’s name and the current year onto the ornament with a black permanent marker to create a keepsake gift. 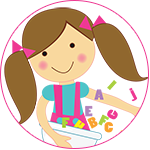 Now you have an adorable Christmas gift for your students to take home to their families or loved ones! We made an ornament for our own tree to remember Sawyer’s first Christmas, and one for both grandparents as gifts. We know they will love pulling it out every year to hang on their trees! 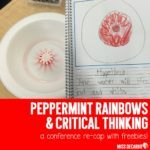 Feel free to use the image below to save this idea to your Pinterest boards and refer back to it this year or next year. If I do not get a chance to blog again before Christmas morning, I hope you all have a blessed holiday season and a very happy New Year! I have created this ornament w my 2-yr old grandson… adorable! Big question: Should I put a thin layer of Modge Podge to protect the paint? Will it dry clear on the plastic? We use clear nail polish and it keeps the paint from peeling and it preserves it for years.